PVD Polished Chrome Single-Handle Pre-Rinse Kitchen Faucet with Spring and Swivel Spout, Dual Mode Spray - Lead Free Compliant. PVD Brushed Nickel Single-Handle Pre-Rinse Kitchen Faucet with Spring and Swivel Spout, Dual Mode Spray - Lead Free Compliant. 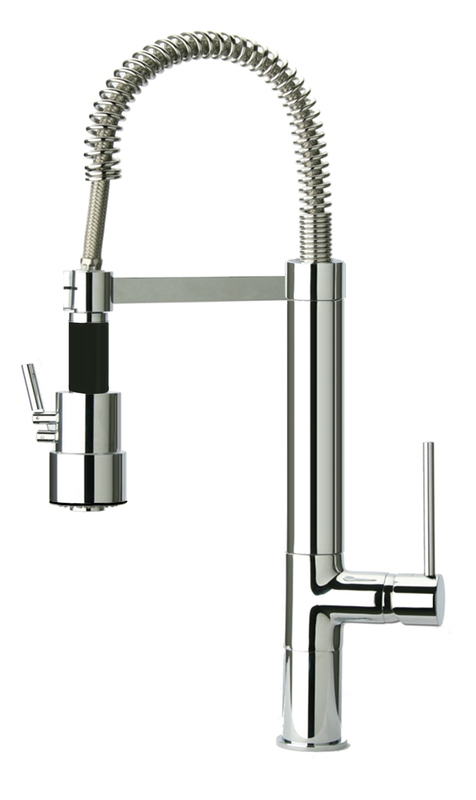 PVD Polished Chrome Single-Handle Pre-Rinse Kitchen Faucet with Spring and Swivel Spout, - Lead Free Compliant. PVD Brushed Nickel Single-Handle Pre-Rinse Kitchen Faucet with Spring and Swivel Spout, - Lead Free Compliant.